I’m not really sure what I’m doing, as an actor I’ve never really applied for a formal job before, but I see a job as an English Teacher at a company called EF. I click it. I fill out an application, write a cover letter, and go to bed. Up until this point I’m not really sure of a lot of things, but without hesitation I could answer that question. “No.” What I do know is that I’ve spent eight years living in Los Angeles and somewhere in there I earned this title of being a “car vegan.” I love L.A., but this car-given freedom I heard about from many of my peers was not shared by me. I became obsessed with a version of L.A. that is post mandatory car ownership. The Spike Jonze, Her, version of Los Angeles. I advocated, educated, and preached to anyone who would listen. Yet somewhere in that evolution I realized I had a problem. I knew what I didn’t want for the future of the city I was born in, but I knew little about the future I did want for it. I decided I needed to do some research of my own. I needed to see what makes cities livable and how people are moving through them. So, just as Jonze did when he needed to find his futuristic L.A., I pack up my bags and head to Shanghai. In late March, I arrive, jet lagged, in a hotel north of Shanghai railway station. This is not the Shanghai I came to see. I’m in a neighborhood that is more akin to dystopian Bladerunner than optimistic Her. Sandwiched between a freeway and soulless high rises as far as the eye can see; I start questioning some decisions. Then I find a realtor named Richard, who I found by Googling “apartments in Shanghai.” It’s a very efficient way to find what you’re looking for. Two days later Richard has me on the back of his motorbike and he says he has the perfect neighborhood for me: The Former French Concession. Richard is right. We walk into the second floor of a lane house off a tree-covered street and I’m home. The best part? I can walk to work. Former French Concession in March. This city doesn’t have all the answers to L.A.’s woes and it certainly has problems of its own. Yet, it is a massive sprawling city of 23+ million people moving, functioning, and living. As the financial heartbeat of the country, Shanghai is often referred to as the NYC of China, and I see the comparison. Yet, in certain ways, Shanghai reminds me just as much of L.A. as it does of New York. It's massive and there is no real center. Pictures show the famous skyline of Pudong, but it's as much the center of the city as Century City is to L.A. Albeit far more more visually appealing, the downtown core of Pudong, known as LuJiaZui, is mostly office buildings with a very fancy mall in the center far from the heartbeat of the city. In fact, it's pockets spread out quite far and are separated by smaller residential neighborhoods in between. Sound familiar Angelenos? 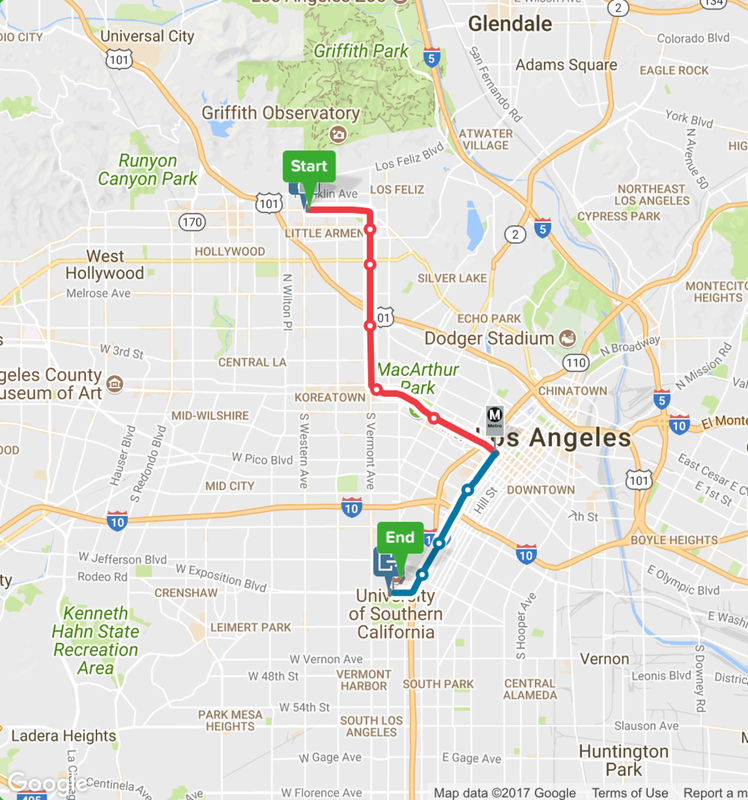 Even though it has the largest metro system in the world, stations are spaced out at L.A. distances, often roughly a mile between each, rather than NY's ten block grid. Its a great laboratory to study urbanization and how sprawling cities are developing with transit. Fast forward five months, I'm sitting here in my old lane-house studio in Shanghai, with a cup of coffee, my laptop, and the window closed to shield me from the unrelenting Shanghai summer. I'm about to put the computer down and start my walk to work. I've been here for five months now and I've been joyously overwhelmed with the amount of new people I meet each day. Each with a story and a commute. Now that I’ve been here for a while I’m ready to unpack some of what I’ve seen. Maybe in the chaos of this city I’m going to find some inspiration for the home I love. It's 7:30AM and as I am walking out of Heidi Ippolito's apartment, a spot only two blocks away from an apartment I lived three years earlier, I realize I already have a problem with this week's story. I don't know what the proper title is for this neighborhood. I would call it Thai Town, others would call it Little Armenia. One could, incorrectly, throw it in with Los Feliz. A few count it as the fringe of Franklin Village, and finally there are those who just chalk it up to East Hollywood. Whatever you call it, the stretch of Hollywood Blvd between Normandie and Gower, and its neighboring streets, are some of the most dynamic and dense in the city. Ferndell Trail at the Western/Los Feliz Griffith Park Entrance. This compilation of communities has caused for a neighborhood where you can get award-winning Thai Food, go to a comedy show at UCB, check out the more pedestrian friendly entrance to Griffith Park, and finish at one of the most iconic bars of Hollywood all within a square mile, but ask anyone who has lived here and they will tell you one aspect that defines the neighborhood over all else is parking. Made up mostly of two to five-story walk up apartments and strip malls, the neighborhood has limited parking. I remember the anxiety when I lived here with my car. Even in a smart car finding a spot was like winning the lottery. I would often spend twenty-five minutes circling the neighborhood. It became a ritual. So as I'm walking with Heidi to the station, I wonder where her car is. Her answer surprises me; San Diego. She first moved to Franklin Village proper in 2008, then Los Feliz proper a couple years later, all with a car, but after she left to pursue a graduate degree in Scotland she returned to the stretch of Hollywood that lies between her two former neighborhoods. Having lived in the area before she knew how the neighborhood worked. She decided to leave her car at her parent's house in San Diego, waiting to see if she would need it, and after landing a job at the University of Southern California, another notoriously frustrating place to park without a parking pass, she decided she was better off without it. 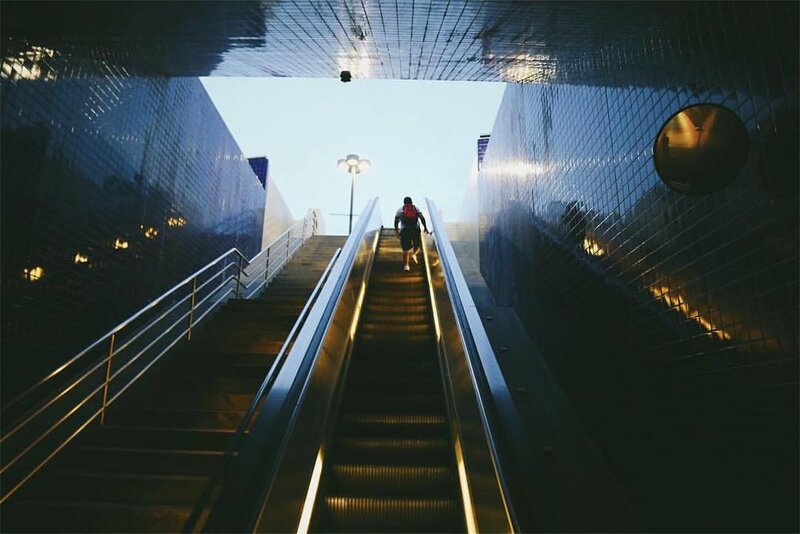 As we walk underground, Heidi talks about how she became a Metro commuter. She remembers as a freshman not having a car, but utilizing the Zipcar locations that USC offered, and would take the Amtrak Surfliner to visit her home in San Diego. However, starting Sophomore year she brought up her car and had it for five years until she left for grad school in Scotland. After living abroad, she felt that not having a car made her life easier. "To not be driving felt more luxurious than having a car...there's more freedom not having a car," she recalled and said that when people told her about the freedom of having a car she just felt that freedom got her stuck in traffic. Heidi views Metro as "freedom within a structure (she) can't control," and that gives her the ability to find peace in her commute. She feels in the age of ride share, if something really goes wrong with a delay she can always call a Lyft or Uber for work. We get in a packed train downtown, and Heidi acknowledges she is asked about her safety on Metro from friends. She says she has her tactics but that they are the same she has at a bar or on the street. While admitting she doesn't usually take the Metro alone late at night, she states that she finds comfort in being surrounded by the other people on the train, unlike when she drove and had to park far away from her apartment alone late at night. Heidi, like other passengers, creates her bubble, riding the line between being friendly and keeping to herself. "I just stand, walk, and sit with a purpose...it's awareness and experience, nine out of ten times it's same old same old. Every once in a while you get a character who is filling the space entirely with their own vibes, and for the most part you're just making eye contact with everyone else like 'you see this, yeah I see this too.'" About fifteen minutes later we pull into 7th & Metro where, in the middle of the morning commute, Heidi snakes through Metro's busiest station and heads up to her next train. She finds that after the transition to being a daily commuter she is now slowly using Metro more in her social life as oppose to ride-share services. 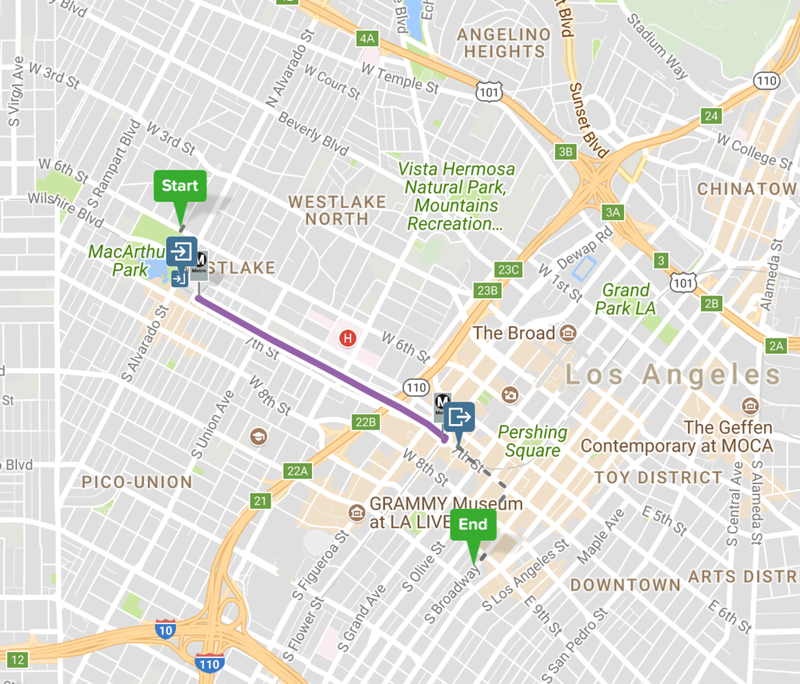 If she has to go to The Grove, she will take the Purple Line as far as she can then use ride-share the rest of the way. What she loves the most about Metro is the freedom it has given her to make stops on the way home. "I can meet people Downtown on the fly. (When I had my car) I would always want to rush home to park while the spots were still there before going out, and that didn't make me feel free. I stay on campus more often now going to screenings and classes because I don't feel like I have to rush to my car." The last ride along the Expo Line is a frustrating stop and go experience, due to the cross-traffic that is notorious among this particular section of the Expo Line, but Heidi enjoys the line that didn't exist when she was a student at USC. It is an option that helps make USC feel more integrated into the city of LA. She even notes that she sees a good amount of younger faculty using the train, which is a frustrating observation considering USC disbanded their $30 subsidy toward a $100 monthly pass. Heidi would certainly benefit from that subsidy but says that she still saves money by no longer having to pay for the various costs attached to her car. It costs Heidi about $70 a month to commute to work. 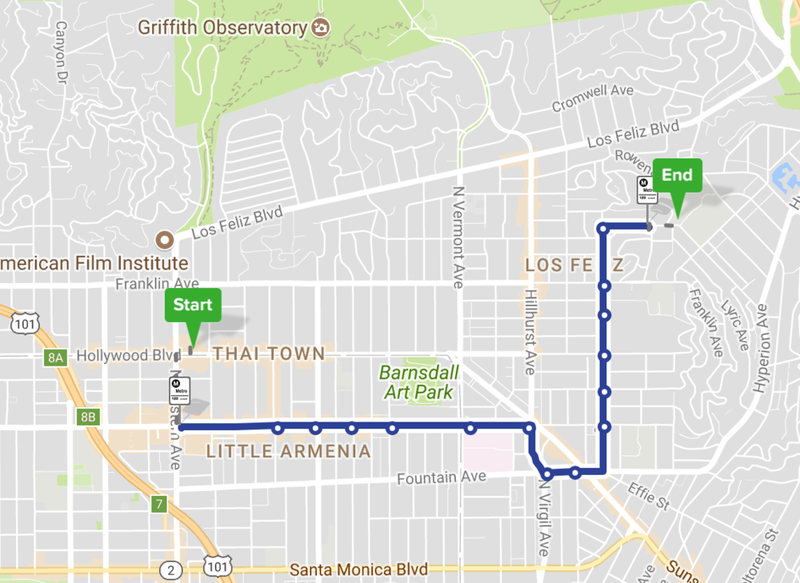 It took about another fifteen minutes to get to Expo Park/USC Station, and we walk the last ten minutes through campus. In the end it took forty-nine minutes from Heidi's front door to Heidi's desk in the center of campus. While it's important to note there are still great subsidies for Undergrad and Graduate students at USC it is a missed opportunity that one of Los Angeles's largest employers does not have a program that encourages a non-car commute. Until that changes, Heidi will enjoy the other social and monetary benefits that this shift has brought to her life. She has even considered opting for a monthly pass at $100 a month so she can be encouraged to use it more outside of her commute. As for that car in San Diego, she has decided to sell it.